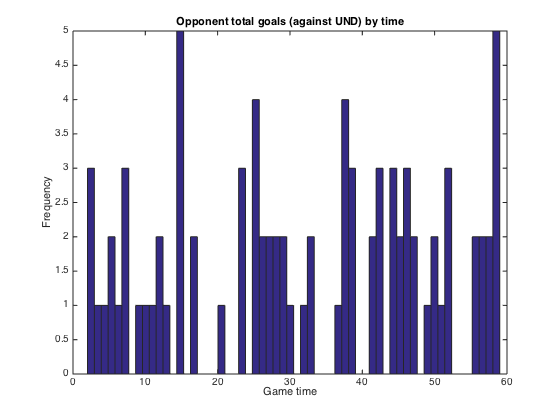 A couple of students said it would be interesting to see the graph for opponents goals against UND. Here we go. The graph with UND goals scored is here. You need to do a third graph overlaying the two. Complete the circle.